As I sit in the Bethnal Green studio of photographer Stephen Gill, writes Wayne Ford, I face a dilemma not normally encountered when asked to choose one from the dozens of copies of an artist’s book lining a shelf. But when Gill is asking you to make a choice, that is a whole different matter. Gill, according to Martin Parr a ‘major force in British photography’, is one of a mere handful of contemporary photographers who truly understands the craft of making a book – not just a good book but a great book, one that presents its content in the best way, and creates an emotional and physical bond with the artist’s audience. Gill’s latest work Coming Up for Air explores the ‘fictional aquatic world that somehow leaves you gasping for breath’ and is the culmination of a long-term project in Japan. Every element, every detail, no matter how small, has been considered over and over, from the earliest maquette to the physical format of the book, the texture and colour of the cloth binding, the paper, the embossing, the elegant typography, even the placement of Gill’s signature on the title page. The dilemma in choosing a copy comes from the very individual handmade finish to Gill’s books. Each acetate dust jacket has been hand-painted with bold graphic swirls of colour by the photographer. With an edition of 4500 (the world market for a hardback photobook is generally considered to be 2000–2500), this meant working most of ‘eight days and nights’ at printers Die Keure in Belgium. Apart from his first book, A Book of Field Studies, well designed by Zoe Bather at Frost design, which he published with former Magnum director-turned-publisher Chris Boot in 2004, Gill publishes his work through his own Nobody imprint (nobodybooks.com). By taking charge of the entire process Gill is able to control the quality and presentation of his work. He will publish a book only when it is ready, he says, and if that means it comes out after an exhibition, then so be it. There are no marketing strategies or seasonal deadlines, simply an artist striving to disseminate his work in the best and most appropriate form possible. For 44 Photographs – Trinidad (2009), Gill had a production line of friends working over a four-week period, deconstructing 115 copies of a vintage paperback, handwriting the title page and inserting 44 prints into handmade pockets within the book. The letterpress that sits in one corner of the studio was another process used in the production of this singular book. ‘We forget it’s possible to do things by hand and in volume,’ says Gill. For Gill the book is clearly a democratic form: concerned at the prices his Hackney Wick (2005), a series of photographs produced with a camera bought for 50p at a local market, were commanding at specialist booksellers, he now rations the number of signed books that dealers can purchase. Nevertheless, Gill is now able to support himself through the sale of books and prints, eschewing the lucrative commercial commission that his reputation would win him. He tells me he is now able to fund his own future work, in whatever shape or form that may take. 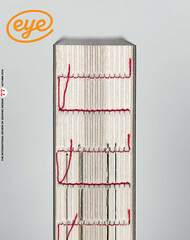 Top: Cover from Coming Up for Air by Stephen Gill, published in 2010 by Nobody in association with the Archive of Modern Conflict.Edition of 4500. Book design: Melanie Mues. Picture taken in Japan 2008-2009. 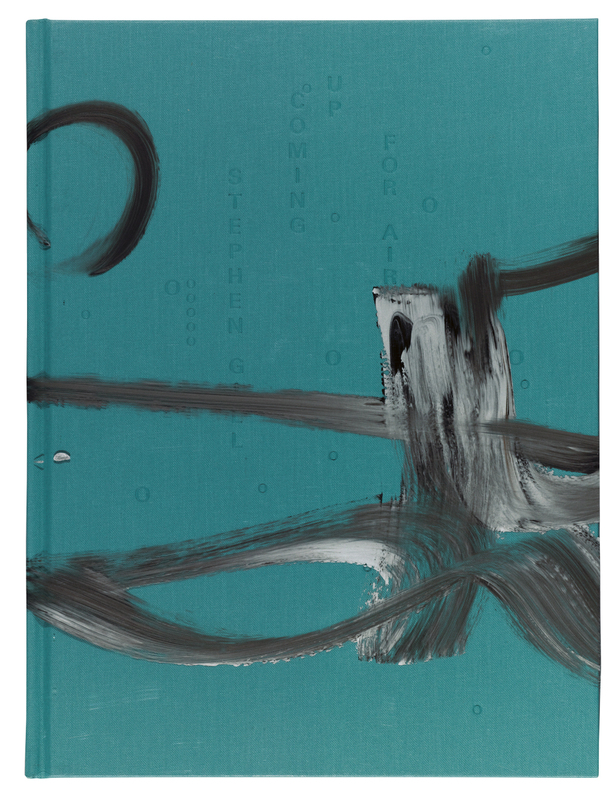 Each copy of Coming Up for Air - larger in format than most of his previous volumes - has a hand-painted cover by Gill. This photographic series also marks another departure for Gill, who ‘starved’ his photographs of information, leaving the reader to explore and interpret his fictional aquatic world.